The 419-room Sheraton North Houston has been sold to a Florida-based firm. HOUSTON – The Ecclestone Organization has acquired the 419-room Sheraton North Houston at George Bush Intercontinental Airport. The 10-story hotel, 15700 JFK Boulevard, was built in 1982. Ecclestone, based in West Palm Beach, Fla., purchased the hotel from a joint venture of Driftwood Hospitality and Apollo Global. The seller was represented by HFF’s Dan Peek, John Bourret and Colby Mueck. The Sheraton, which sits on an 8-acre site, has 30,000 SF of meeting space. 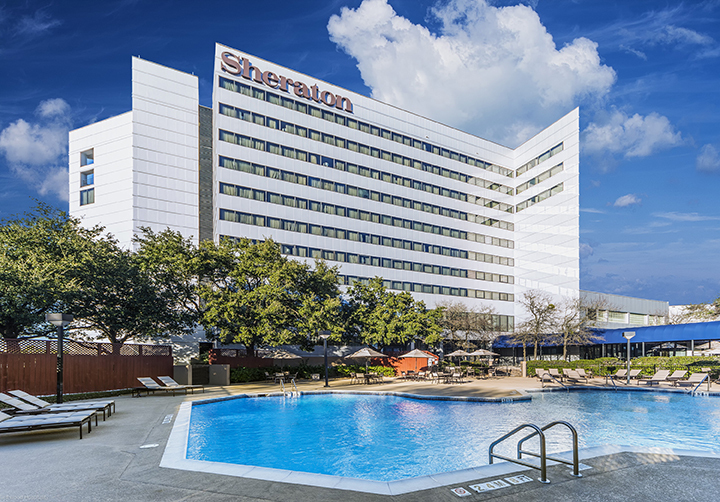 Sheraton North Houston is less than three miles from George Bush Intercontinental Airport, the fourth largest airport system in the U.S. and the sixth largest in the world. The hotel is 6.5 miles from the 971-acre Pinto Business Park, 10 miles from the Generation Park master-planned commercial development and 17 miles from downtown Houston.